An impressive dinner that cooks away on the stove without any intervention needed. Oh and a brilliant freezer-filler too! 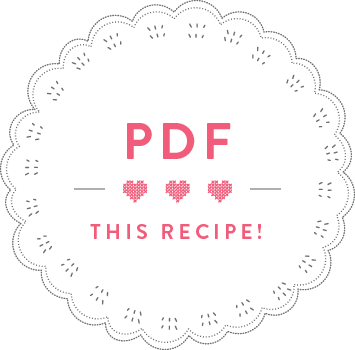 Heat 2 tablespoons of oil in a large, heavy-bottomed saucepan and fry the onions with a pinch of salt for 8 minutes until soft. Meanwhile, cut each chicken thigh into three pieces. After 8 minutes, peel and crush the garlic cloves and add to the onions with the cinnamon stick and cumin seeds, fry for another minute. Take everything out of the saucepan and set aside. Heat the remaining tablespoon of oil in the saucepan and brown the chicken all over in batches. Put the onions and the chicken back into the saucepan, add the chicken stock, saffron and bring to the boil. Cover and simmer on a low heat for 45 minutes. After 45 minutes, remove the lid and stir two tablespoons of honey through the sauce. Add the prunes and cook uncovered for another 15 minutes, so that the sauce reduces. Meanwhile, roast the almonds in a frying pan until fragrant. Just before serving, put the couscous, the butter and the salt into a bowl. Boil a kettle and pour 400ml water over the couscous, stir and cover the bowl with a plate. Set aside for 8 minutes. 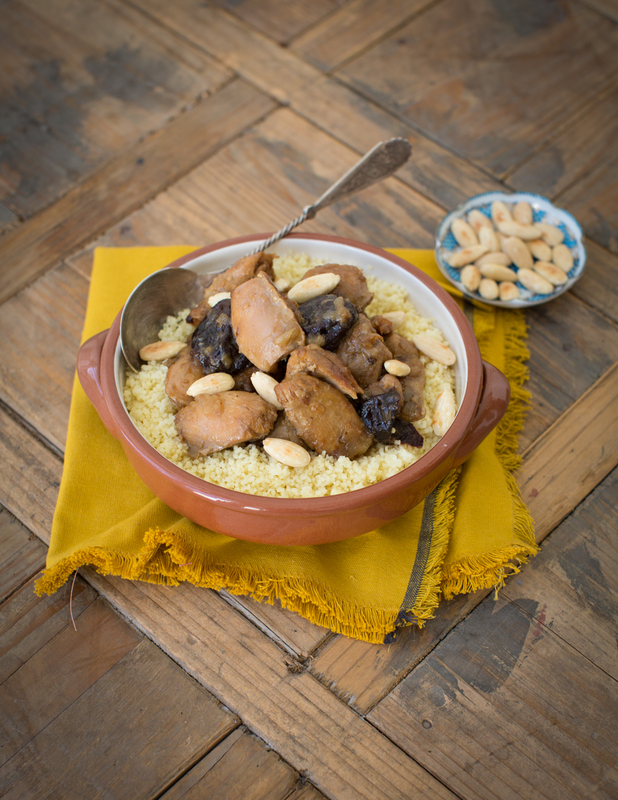 Put a portion of couscous onto each plate and top with chicken tagine and roasted almonds.